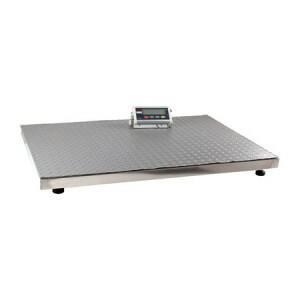 ANYLOAD animal and veterinary platform scales are used for weighing small and medium sized animals. Our walk-on animal scales include a removable rubber mat preventing animals from slipping while also featuring a side handle for easy portability. All of our vet scales include a digital indicator with multiple functions such as auto shut off, auto calibration, auto zero tracking and stability indication.